The founder and owner of Lombardi Family Concepts on a youth rich in love and world travel. “I grew up in Italy in Forlí. The region is Emilia-Romagna. It’s about 10 miles from the sea and 10 miles from the mountains. I went to [elementary and middle] school over there until I went to hotel school when I was about 13. 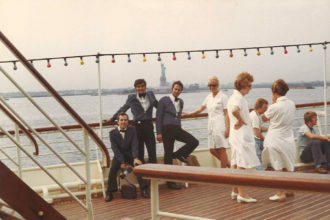 As a young man, Lombardi, second from left, had a sense of adventure and worked on a cruise ship that traveled around the world. Then when I was about 17, I left for Germany for adventure. We were very poor but very rich in love. I was very fortunate that my parents, my grandparents, [and] my uncle gave me a lot of love. My mother used to clean the movie theater, and I used to help out around there. My father worked in the street. He laid bricks. I have one sister who’s still in Italy. From generation to generation, I’m the only one that ever left. 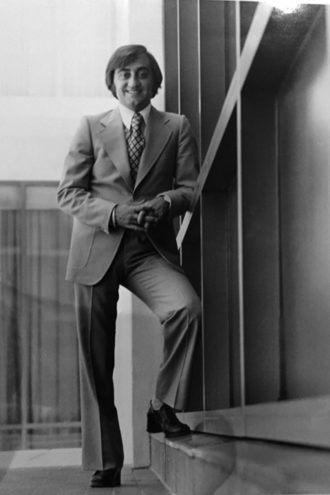 Managing the Venetian Room: After growing up in Italy and traveling the world, Alberto Lombardi came to Dallas and later became manager of the Venetian Room. 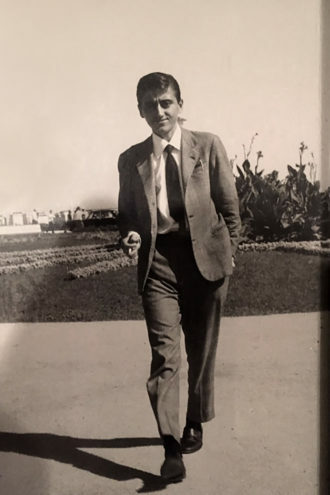 ; When Lombardi was a teen, he attended hotel school in Rimini, Italy.